One of the best things about researching your family history is the stories you discover. Sometimes you find a detailed well documented account of the struggle and tribulations of an ancestor or you might find something very simple, such as a date on a document recording the death of a child. Sometimes a tiny mark on a page or an empty space can say more than a paragraph of text. These are unknown stories that you are piecing together and discovering for the first time. They are your family stories. They are unique to you. 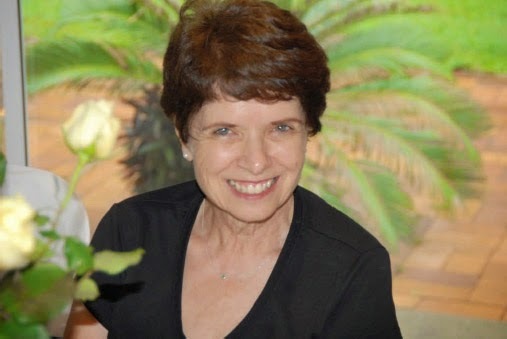 The ever vibrant Carol Fox is giving a talk on Writing Your Life Story at 2:30pm Wednesday 30th April 2014 at Stanton Library North Sydney. She has been hosting a course on this subject at Mosman Evening College for the last 15 years. The art of writing your life story takes some skill. Carol’s talk will be based on her own experiences and using examples from her own life. How do you begin? How do you structure and research your story? How do you unlock childhood memories? What is the best way to interview family members? History is ever changing, as are our personal stories. Historians continuously reinterpret the past as we do as individuals. “What really happened back then?” we ask. As we reinterpret the connections and intertwining of our lives with the lives of our family and our ancestors we better understand ourselves in the present moment. We create our life story. There is more to this than you might think and Carol’s engaging ‘hands-on’ session will be very informative. There will be plenty of time for questions and discussion. Bring a notebook and pen to take notes. This is a great opportunity for personal growth and development. Not to be missed. Congratulations on your blog which I found because you left a comment on my blog. So good to see local Sydney libraries promoting family history.